Son Tae-yeong, is she really a mother? Actress Son Tae-yeong's beauty and talent is shining in "Lee Soon-sin is the Best". Son Tae-yeong takes on the role of Lee Soon-sin's eldest sister Lee Hye-sin who has the beauty, the skills, and personality every parent would want. 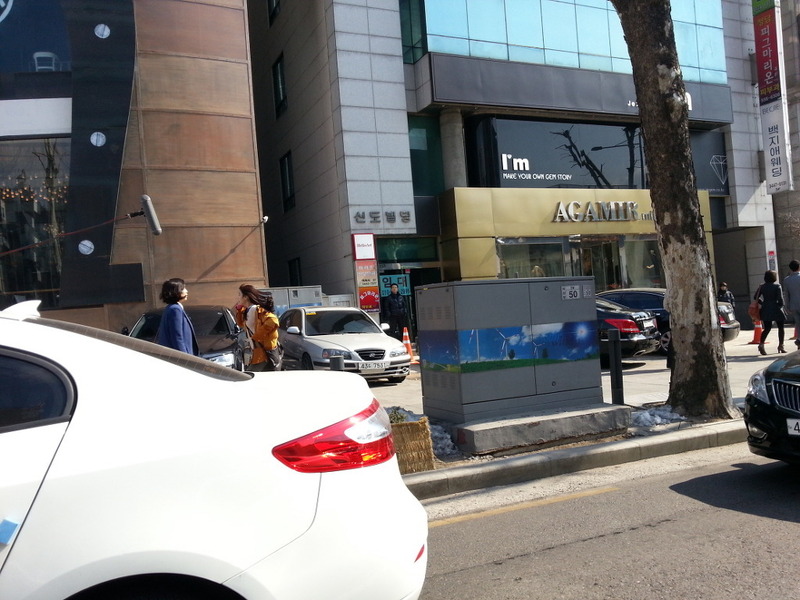 Son appeared wearing a dress to the poster site on the 15th. She is the mother of a child but her slender body fit the dress so well. Son Tae-yeong's maturity and secure acting is obviously changed, according to a staff member. 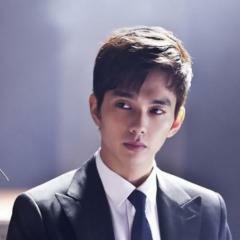 It was lucky they got to cast Son for the role of Lee Hye-sin. "Lee Soon-sin is the Best" is about a mother and her daughters finding happiness after their father's sudden death. 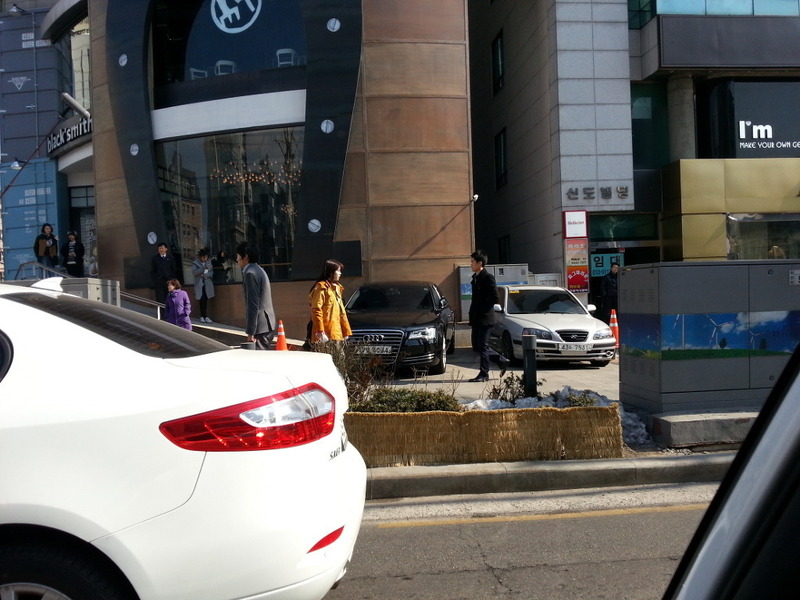 To be aired on the 9th of March after "My Daughter Seo-yeong". "You're The Best, Lee Soon Shin"s TRAILER!!!!!!!!!!!! love how I can already see some good chemistry waiting for us in the future ;p March 9 come faster! class="ipsType_pagetitle" 'You're the best Lee Soonshin', Go Dushim "I'm happy to have a pretty daughter like IU"
A picture of Go Dushim and IU on the set of 'You're the best Lee Soonhin' had been revealed. Go Dushim and IU had gotten the role of a mother and daughter in the new KBS weekend drama 'You're the best Lee Soonshin'. In the recent picture, the two displayed a warm mother and daughter relationship during the filming despite the cold weather. While Go Dushim patted and stroked IU, after being heartbroken as she watched IU suffering in the cold, IU had treated her as if she was her own mother, warming the hearts of everyone that watching. A worker had stated, "Even though it hasn't been long since the start of the recording, they have already become really close and are behaving like a real mother and daughter. It's to the point that we don't even know who's becoming more like who." On that day, before the recording, Go Dushim revealed, "Since I'm IU's mother, I'll act as cute as possible" then created a cute expression that she rarely makes. IU expressed, "I'm still unable to believe that I'm able to act with a senior actor whom I respected since I was little. It feels like I'm watching TV. Although I'm nervous, I'm also very excited." Go Dushim added, "I'm so happy that I now have a cute daughter like IU. Truthfully, I still can't believe it. Seeing her being so passionate about acting makes me satisfied and love her more. We'll become a mother and daughter that will touch peoples' hearts." A representative from the production company, A-Story, revealed, "The story will be centered around the mother daughter relationship. It will have the important role of leading the storyline. We hope the audience would anticipate a warm and touching mother and daughter storyline." On the other hand, 'You're the best Lee Soonshin', which will illustrate a story of a mother and daughter trying to find happiness and love after the father's sudden death, will be broadcasted on March 3rd. Upcoming KBS 2TV weekend drama ‘You’re the Best Lee Soon Shin’ released its first 2 video teasers last weekend, raising much anticipation for it among viewers. With light-hearted music playing in the background, IU makes an appearance in the teaser as Charlie Chaplin and Marilyn Monroe, and saying ‘My name is Lee Soon Shin’. She continues by narrating, “They say life is like a stage. There are joy, anger, despair, and happiness in life, let us continue to go on fighting.” The narration which appeared midst various scenes that were played out, left much anticipation among viewers as to how it will all come together when it airs. 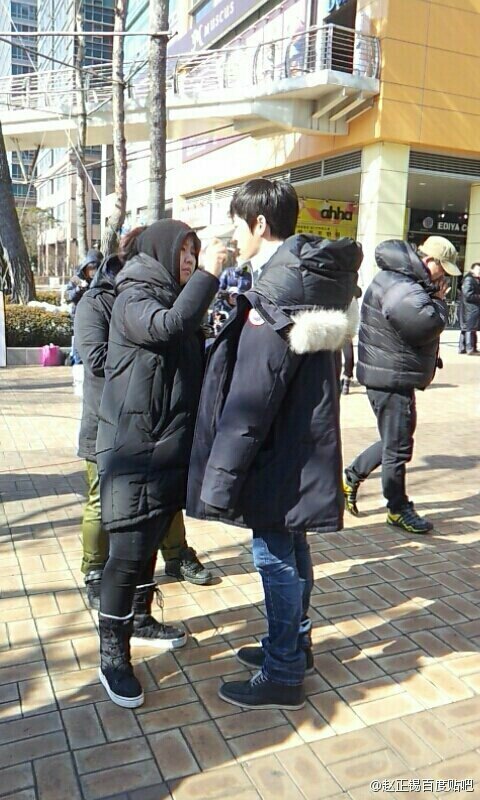 Filming for ‘You’re the Best Lee Soon Shin’ is currently underway. IU and Jo Jung Suk who are leading the drama, have been noted for their passion and effort while filming, whilst also being the mood makers on the film set. There was one particular scene where IU had to stick flyers on the streets. As the flyers weren’t stuck snugly, filming had to be redone over and over again. When the director shouted, “Cut,” to signal a NG, IU will immediately retract her steps and be in position to film the scene again. After several attempts, filming was finally completed successfully, and everyone clapped their hands to show their recognition for IU’s hard work. Although Jo Jung Suk was able to fulfil what the director wanted, he himself wasn’t pleased, and asked for a retake, showing his professionalism. To dispel the nervousness of his co-actors, Jo Jung Suk would take to cracking jokes, and help to raise the mood levels. Jo Jung Suk is noted for his wit and passion in being the mood maker on the film set. ‘You’re the Best Lee Soon Shin’ is a story about the hardships that Lee Soon Shin and her mother faces after the death of their father/husband. It seeks to tell viewers of how the mother finds happiness, and the love story of Lee Soon Shin. The drama will convey messages of family harmony, finding the true value of oneself, and what the true meaning of love really is. The drama will succeed ‘My Daughter Seoyoung’ and begin airing from March 9th. "The Best Lee Soon Shin" First Teaser Video: Upcoming Weekend Drama after "My Daughter Seo Young"
JJS: … and Jo Jungsuk. IU: Since 1988, KBS Journal, which has received a lot of love from viewers for over 20 years, will be publishing its first online issue! JJS: -joins in the duguduguing- Both of us! 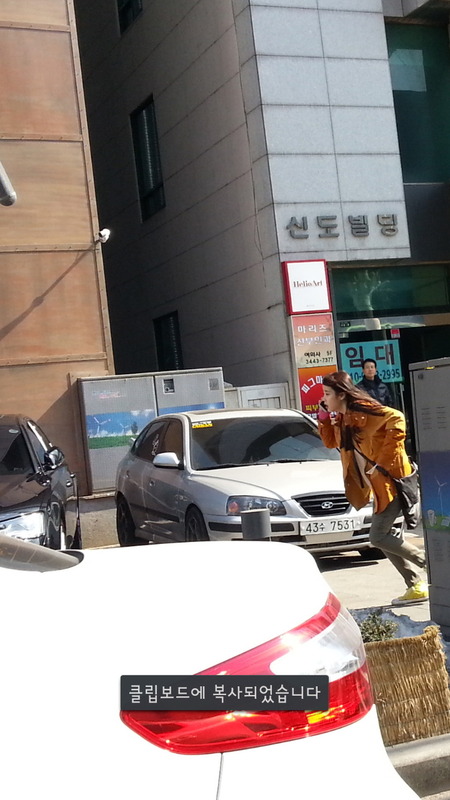 JJS: Sorry… Hurry and click to visit KBS Journal online, which is filled with interesting KBS Programs. IU: ijournal-dot-kbs-dot-co-dot-kr. Be sure to remember the date March 4th! 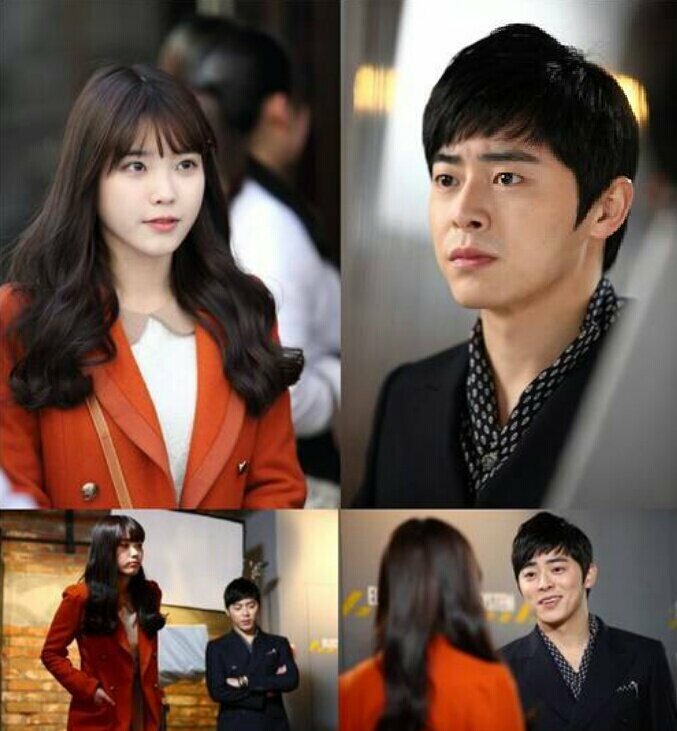 JJS: “You’re the Best, Lee Soon Shin”… Yep yep it’s our first broadcast. Both: Please look forward to it! KBS Journal online opens on March 4th. You’re the Best, Lee Soon-shin is the upcoming weekend drama starring IU as the titular character, and based on our teaser it looks like a cute family drama that suits the timeslot it’s in: a plucky heroine who’s down on her luck, a hero who might be a bit of an richard simmons, an upbeat tone with some laughs and tears. IU plays Lee Soon-shin, whose name will probably be a recurring bit. In the clip her name is pointed out with incredulity, like, “Your parents named you Lee Soon-shin, really?” Like Sam-soon, I expect she’ll have a ready answer to the question she’s always gotten, since it’s a bit like naming your daughter Ulysses S. Grant. Soon-shin narrates, “My name is Lee Soon-shin. People say that the world’s a stage. A life full of happy… sad… and infuriating events. Let’s be strong!” The drama’s title turns into her rally cry for herself, while the stage motif explains the Marilyn Monroe and Charlie Chaplin getups. The plot kicks off after the unexpected death of Dad, after which Mom and her youngest daughter (of three) find themselves “caught up in fate’s whirlpool.” Elder sisters are played by Sohn Tae-young (I Am Sam) and Yoo Inna (Queen In-hyun’s Man). The hero is played by Jo Sung-seok (yay for his leading debut, after stealing scenes as memorable supporting characters), who is (as we expected) a haughty type. Sigh. I know, I know, it’s practically a fixture of the genre. They appear to get off on the wrong foot and he calls Soon-shin “hundred won,” which is like saying, “Yo, ten cents!” At least we can trust Jo to make this role his own, in his unique way. You’re the Best, Lee Soon-shin premieres on March 9 on KBS. Yoo In Na and IU promise to support each other for ‘You’re the Best Lee Soon Shin’! The sisterly relationship between actress Yoo In Na and singer IU has been well-known in the fan community, particularly for fans of the 2010 SBS program ‘Heroes‘. After the recent announcement that they would be starring together in the upcoming KBS drama ‘You’re the Best Lee Soon Shin‘, fans have already been looking forward to see how their off-screen relationship will play out on-screen. ‘You’re the Best Lee Soon Shin’ will have its first broadcast on March 9th after the wrap-up of ‘My Daughter Seoyoung‘. 0054 IU: I’m feeling anxious and pressured, but no matter what, this is a drama I wanted to do, so I’m ambitious about seeing it through to the end. 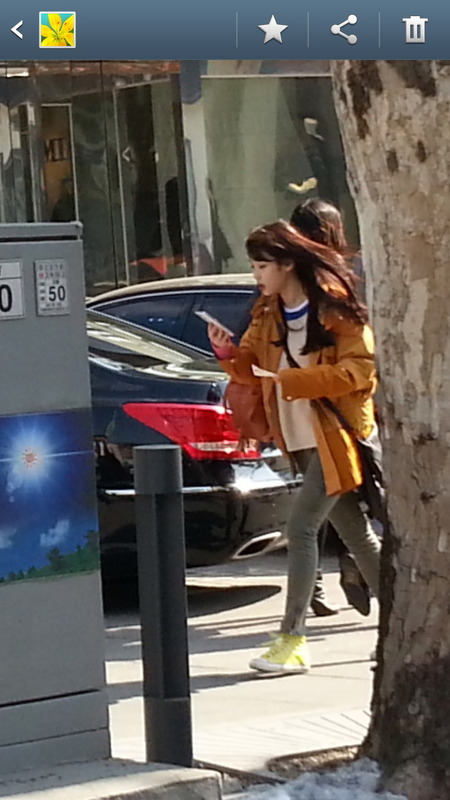 0106 IU: I’m busy too you know! From today onwards, I have to go to work after school. 0124 Lee Misook: Ah really? Really? Not at a drama award? LMS: Great~ because she seems like she will be able to act for a long time… if she takes me as her role model. If I’m here, I think she’ll have a smooth and easy road ahead of her. 0209 IU: As we are filming the middle part of the drama now, I hope to gradually bring a prettier image to everyone. I’ll work hard!